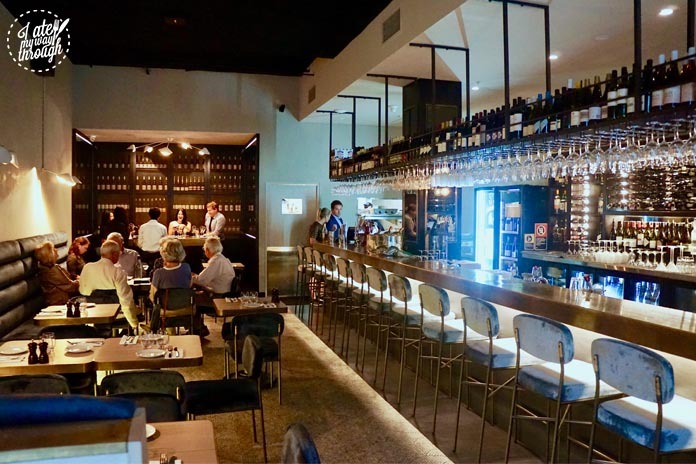 Mistelle in Double Bay is a relatively new French style wine bar and bistro started by wine connoisseur Alicia Wadsworth and her husband. They abide by the French philosophy instilled by Henry IV of France that ‘good food and good wine is paradise on Earth’ conveyed even more so through their delectable menu. 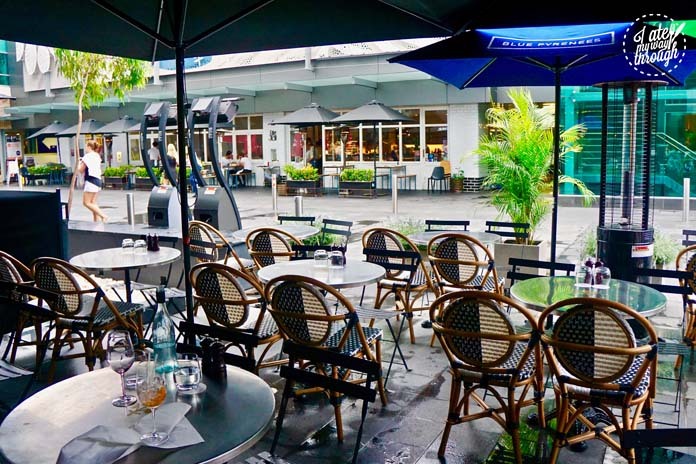 With chic cane French style café chairs outside looking onto the bustling Kiaora Lane in Double Bay, the area is a hype of activity during the day and perfect for enjoying an alfresco drink in the evening. Inside, the high ceilings, impressive bar and comfy booths, invite you to enjoy some delicious French inspired cuisine by their chef or an afternoon snack from the all-day menu. As a Champagne lover myself, the opportunity to enjoy a champagne pairing dinner with some amazing food was a dream come true. 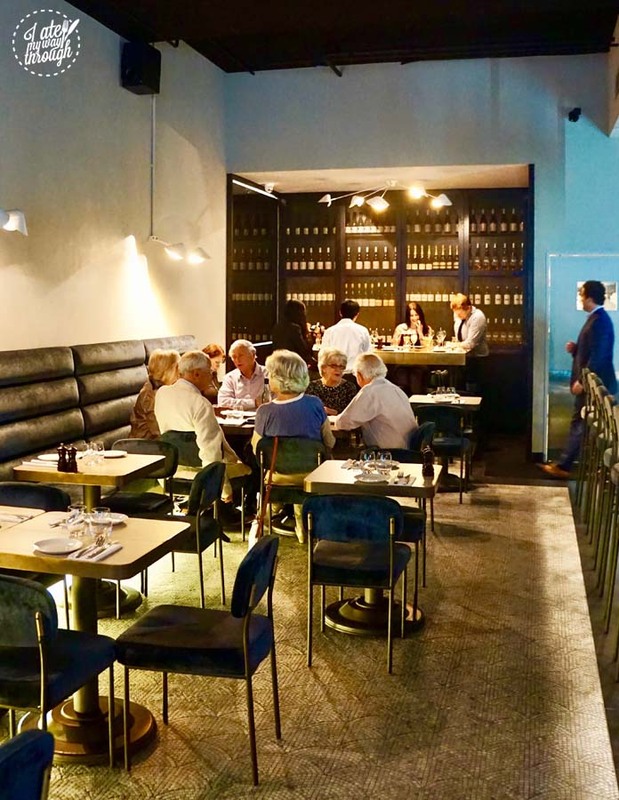 At the back of the restaurant is a long table perfect for a private group dinner just like ours, that remains intimate yet still atmospheric and bubbly absorbing the sophisticated vibe of the restaurant. 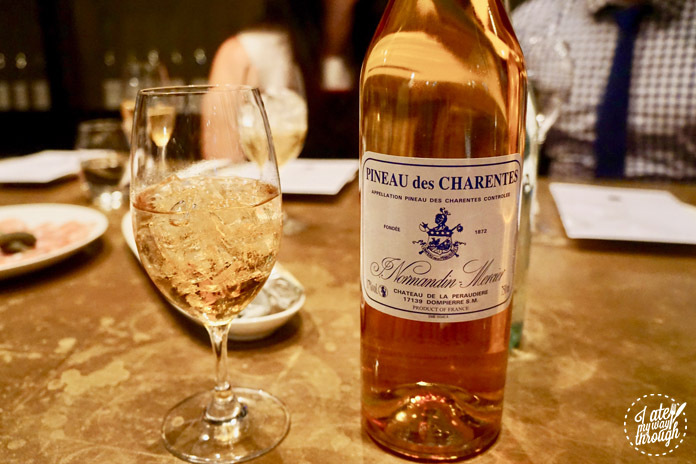 To begin we enjoyed a glass of the restaurant’s namesake, Normadin Mercer Blanc 4 year old Pineau des Charentes Blanc 4YO ($14). Mistelle is a type of grape juice or slightly fermented wine used as a key component in fortified wines, and as a base for aperitifs. 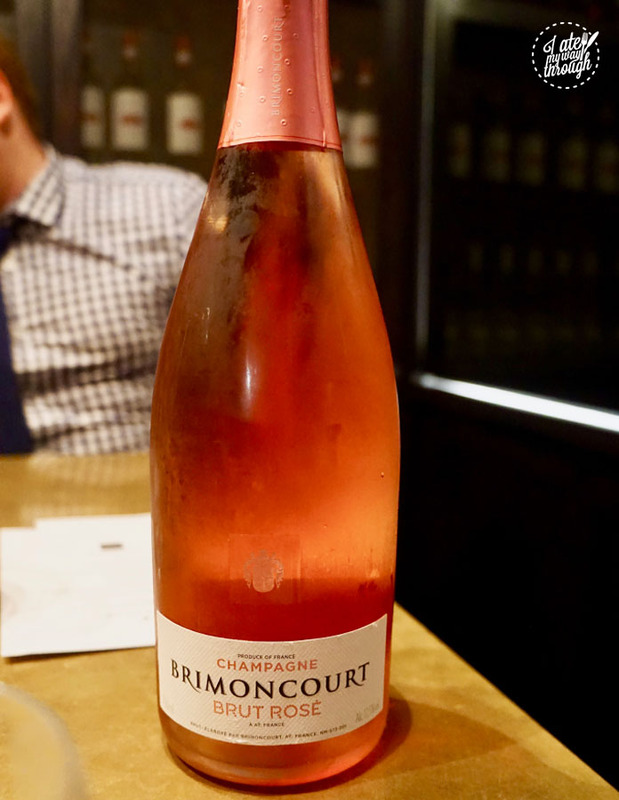 It is typically a lot sweeter than normal wines but not as sticky as a dessert wine, proving to have a nice digestible consistency and pleasant to sip on. Served chilled, or on the rocks, it is a refreshing and enchanting style that definitely needs more recognition! This was accompanied by some Lucienne bread stick with Pepe Saya Butter ($8) and hand cut charcuterie Saucission Sec ($14). The bread was gorgeously warm, light and fluffy with a soft crunch to the outer layer. When lathered on liberally, the legendary Pepe Saya Butter melted effortlessly and proving addictively moorish! 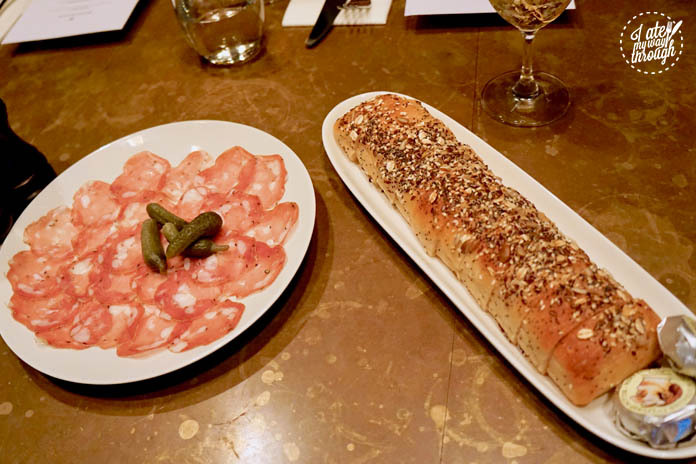 The Saucission is a French style salumi made in Carlton Victoria, with paper thin slices full of meaty flavour offering a delectable pairing. The Spanner crab & lobster salad with seared scallops, shellfish infused oil, port reduction & pickled fennel ($30) was matched by the signature Ruinart Blanc de Blanc NV. 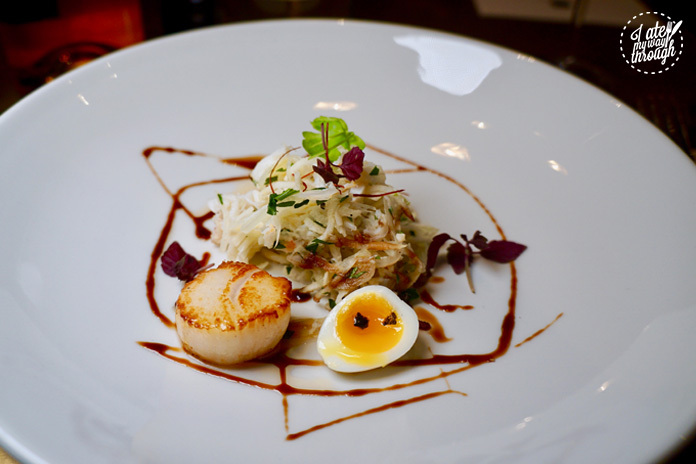 The light salad encompassed a generous serve seafood meat, an abundance of flavours drawing on refreshing pickled fennel, with a deliciously sticky port drizzle. A beautifully cooked seared scallop and adorable tiny poached quail egg finished the dish off dreamily. 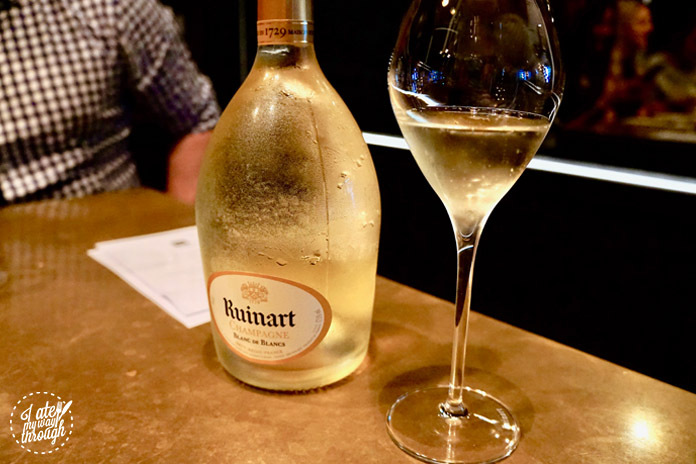 The light Champagne from Ruinart enhanced the flavours with a refreshing lightness. 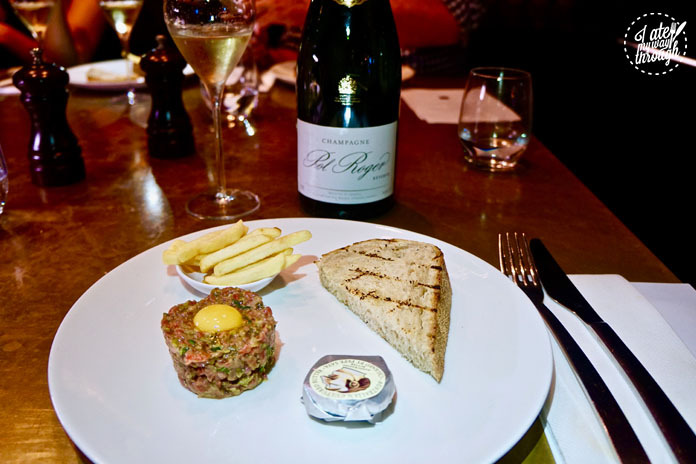 One of the restaurant’s signature dishes the Steak Tartare with toast ($20), was complemented flawlessly by the Pol Roger Reserve Brut NV ($20). It is often perceived that Champagne is for celebrations, and wine is for pairing with food and meals, but what was becoming seemingly apparent was that this is not always necessarily the case. I can honestly say this is one of the best steak tartare’s I have ever enjoyed and just writing this now, I am now seriously craving the dish and am contemplating a visit today! The meat consisted a delectable mix of capers, quail egg yolk, cornichon, shallots, parsley and seasoning, alongside some lightly toasted sourdough, more of the addictive Pepe Saya butter and frites. The union of flavours in the dish combined with the champagne to create a wonderfully welcome alliance. The Pan fried duck breast with celeriac puree, Dutch carrots, broad beans & raspberry jus was served with the rare Brimoncourt Rose NV, a beautiful pink Champagne new to the Australian market. 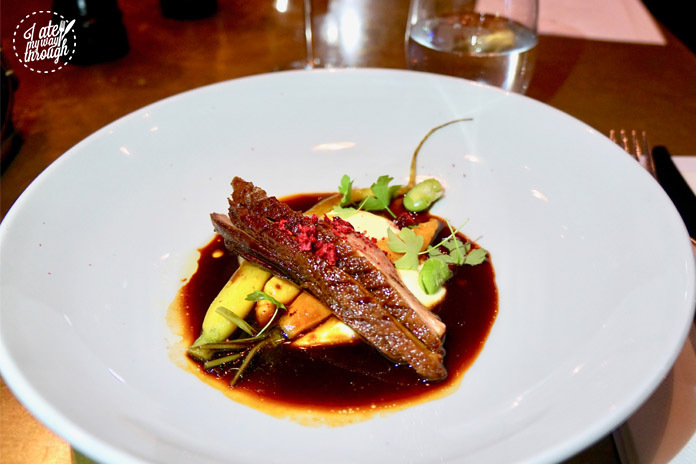 The beautifully cooked duck was pink inside almost identical to the Champagne, with the creamiest celeriac puree attesting addictively delectable. The raspberry jus was sweetly rich and completed the dish off swimmingly, by coupling with the notes of the Champagne dreamily. 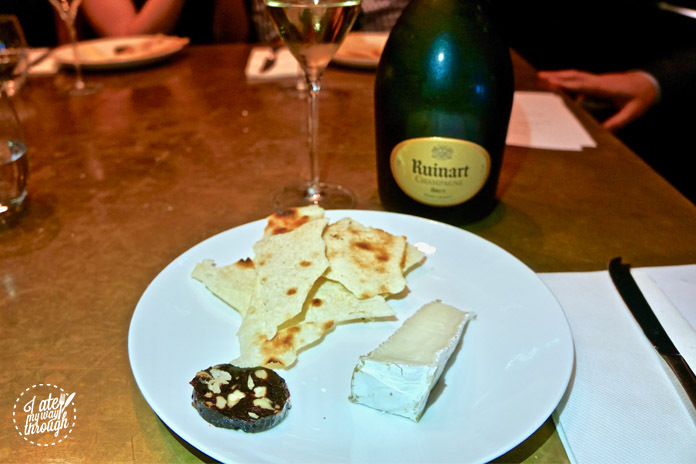 To conclude the cheese lover’s fantasy was some Mon Pere brie ($10) described as a white mould, cow’s milk cheese from Lorraine France with Sicilian crisp bread, accompaniments and the lovely Ruinart NV. It was light and crisp offering a nice finish to the meal. 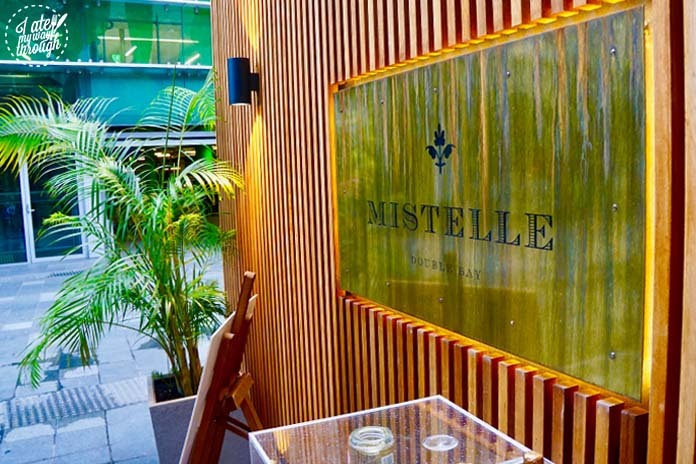 Mistelle is a beautiful restaurant with amazing food, and some incredibly passionate owners whose intent to deliver amazing service and experiences for their guests translates through the venue. 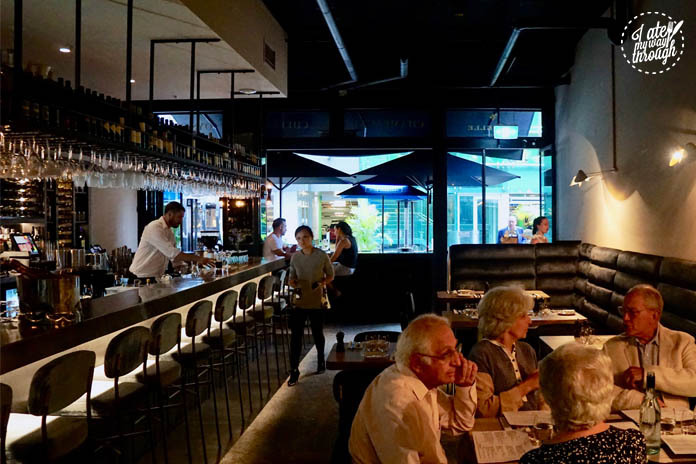 They also hold an unmissable happy hour on weekdays 3-6pm with $2 oysters, $15 Ruinart champagne, $12 Aperol Spritz & $12 Belvedere spritz, proving the perfect way to end your day before progressing onto their main menu! Check out their amazing wine selection and all day menu for yourself!